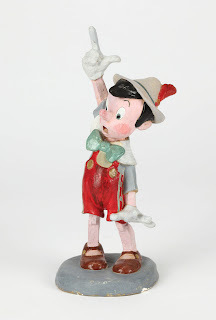 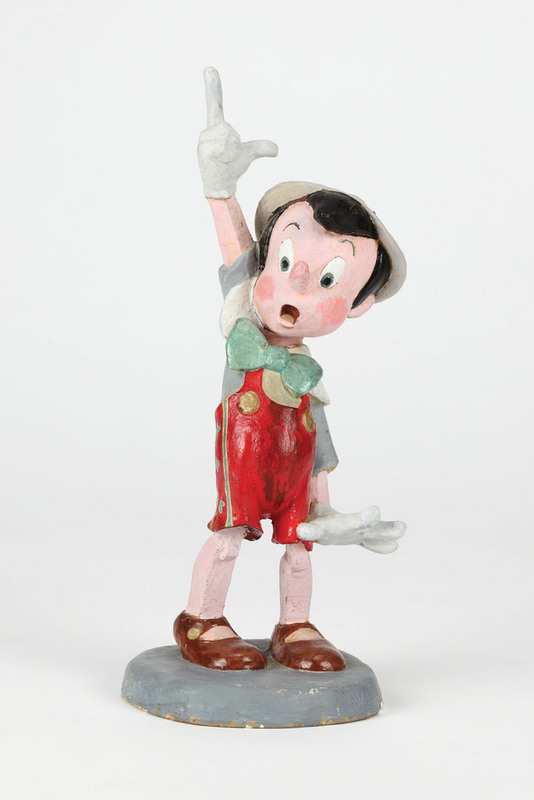 Original Walt Disney Studio maquette of Pinocchio measuring 8 ½ in. 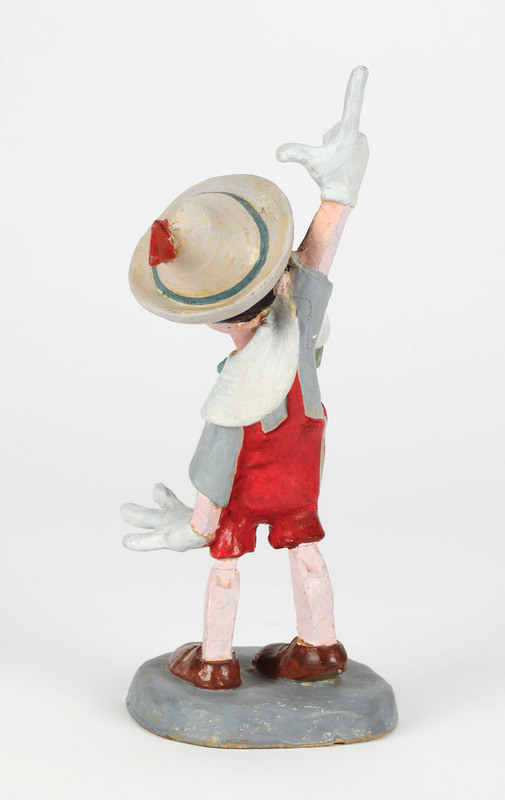 tall, constructed of plaster over wire with hand-painted details. 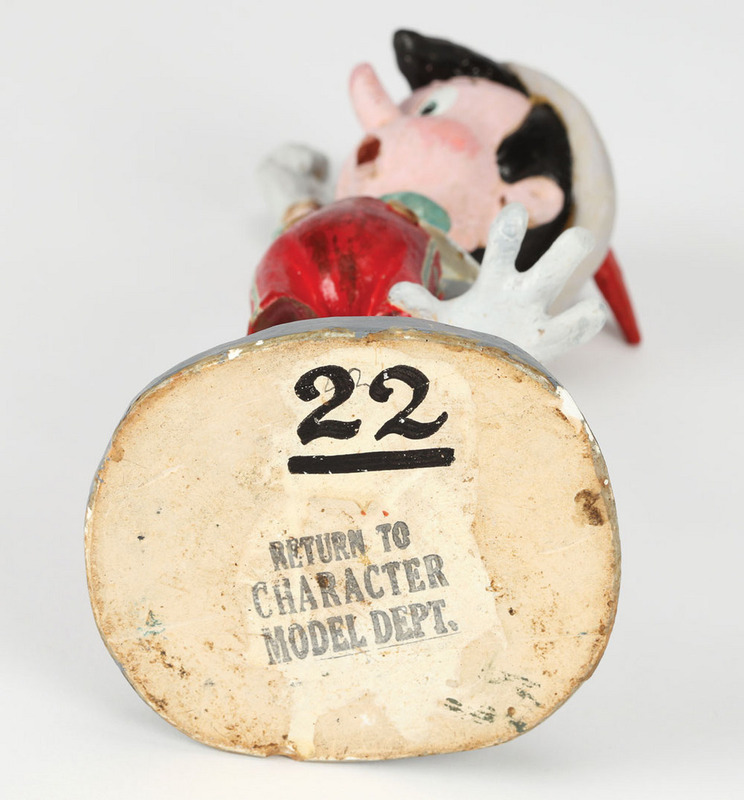 The maquette dates from approximately 1938 (prior to the release of the film) and is marked on the edge of the base "© WDP" and stamped on the bottom with "Return to character model department #22". 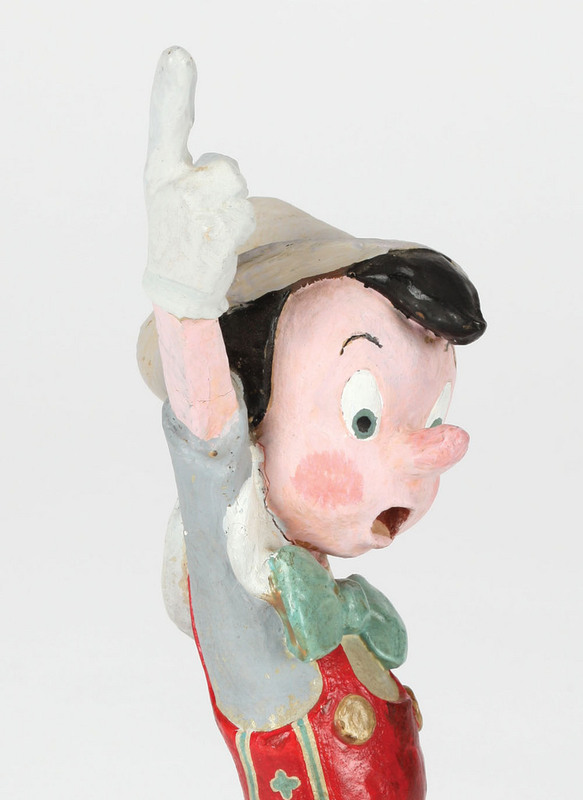 The animators would refer to these three dimensional plaster maquettes during production for visual continuity.